So what is it that is stopping you from getting a new laptop? Is it the fear that you might have to spend 50-60K or in lakhs? Well, what if you don’t? What if you can get a top-notch laptop for less than 30k? And if I am right, until and unless you are a pro gamer, video or sound editor or a programmer, you don’t need to overspend either. So here are some the best laptops in India under 30,000 that sure to blow your mind away and ideal for everyday use like presentations, movies etc. HP 15: You want both speed and power and that is exactly what the HP 15 delivers with its AMD Ryzen 3 2200U Processor, 4GB RAM and AMD Radeon™ Vega 3 Graphics Card. Not to forget, a 15.6-inch display gaming, working or even watching a whole lot easier. Asus-X507MA-BR072T: If you are looking to get the best bang for your buck, this is just the laptop you need. With 4GB RAM, 1TB HDD and a 15.6-inch display, this laptop can handle everyday tasks like movies, power point presentation etc. like a breeze. The HP 15 offers the ultimate combo of both speed and power and at his price, it is an absolute beast (DO NOT MISS OUT ON THIS). So there are 2 things we really love about this laptop that are often hard to find in cheaper models. First and foremost, it is the AMD Ryzen 3 2200U which clocks at 2.5GHz and can turbo boost to 3.4GHz if called upon (as I said, this bad boy is fast). And talking about speed, secondly, it is SSD’s we love. Now, while it does not initially come with an SSD, it does have an M.2 Slot that allows you to upgrade when needed. But does that means sacrificing on the HDD? Absolutely not. So this combo gives you not only get tons of more space but now your laptop will boot and load faster as well (you like speed, the laptop has everything to deliver just that). Similarly, it also features a 4GB RAM which can also be upgraded to a whopping 16GB when needed. So what do all these features mean? In simple terms, while you can enjoy PUBG and Fortnite for now, with a little upgrade, it can even run GTA V, FIFA 19 etc. smoothly or even use it for light video editing, programming etc. And further making those tasks possible is AMD Radeon™ Vega 3 Graphics which is way better than any internal GPU unit. But where do you store all those games, movies and songs? Thanks to the 1TB HDD, space will never be an issue. The battery life of the laptop is just 4 hours but what stands out is the quick charge which means the laptop goes for 0 to 50% in just mere 45-minutes (it does not just run fast, it charger fast as well). With a 15.6-inch HD display, you get a screen that is not only quite large but also offers decent sharpness and colors for a good viewing experience. And lastly, it weighs just 2kgs so if are a traveler or tend live life on the go, you just found yourself a new partner in crime. Upgrading the RAM and drive will cost you additional money but those are updates worth making. Also, the display is a little dull and neither is it Full-HD. Lastly, its battery only lasts 4 hours but that is where the quick charge comes in handy. AMD Radeon™ Vega 3 Graphics can easily handle gaming, light video editing etc. This HP 15 is well worth the cost because it not just a buy for today but tomorrow as well. It gives you the power to upgrade your laptop on important fronts and turn it into an absolute beast for various hardware intensive tasks when you finally do have the money. When it is laptops, Lenovo is never too far behind and the Ideapad 320 shows exactly why this brand is so popular amongst the masses. Let’s start with the basics first. Firing up the laptop is the i3-6006U processor which is usually the most you get with laptops within this price range. Add to that a 4GB RAM and 1TB HDD you get a package that gives you plenty of room to store everything you would be using in a laptop like images, tons of videos, games etc. Plus, since we are talking about games, can it really handle your craze for PUBG or Fortnite? With much RAM, the i3 processor and the integrated graphics card, it sure can take your long hours on the battlefield. Though that is as much as it can handle. For the same, the laptop also features a 14-inch HD display with anti-glare coating (no more red eyes from binge-watching on Netflix or late night game sessions). But isn’t just the display, if there is one thing that often disappoints when it comes to laptops, it is the speakers. Well, not anymore. Why? The Ideapad has Dolby Optimized Speakers that are designed to deliver crystal clear audio even at the highest of volumes with little to no distortion (don’t have speakers? Don’t need them). You also get a USB 3.0 ports so all your data transfers can be done at lightning fast speed. How fast? How about 10 freaking GBPS. It also comes with an upgraded touchpad that has a higher response rate and gives you butter like smooth movement whether you want to zoom, click etc. On days you have your geek on or want to enjoy the binging over the weekend, the battery can easily last you 4-5 hours. Plus, it also allows you 180-degree hinge movement to prevent any accidental damage to the screen and gives you complete control over the viewing angle. Well, the only real issue with this laptop is that does not support the more advanced games like GTA V or Hitman etc. Also, you will have to install the Windows OS yourself since it does not come with a pre-installed one. Need something even cheaper? At less than Rs. 20,000, the Asus-X507MA-BR072T is a top-notch entry-level laptop ideal for light work like content writing or to just let your kids get the hang of using a laptop. One of the reasons, this laptop is on the cheaper side is because it comes with an Intel Celeron Dual Core N4000. Now while it is no beast, there is plenty power for your daily shenanigans be it movies, videos etc. But what really stands out about his laptop is the fingerprint sensor and its 15.6-inches display. Yup, unlocking your laptop will be as simple as a touch of your finger away. Plus, it also ensures greater safety and security (perfect if you tend you forget your password as often as I do). Also, a large display alone does not cut it, right? To give you the picture perfect display, it comes with 4 modes, Normal, Vivid, Eye-Care and Manual. While the Vivid mode is custom made for movies and videos, the eye care mode reduces blue light so it has less stress on your eyes. And if you like full power over the display colors etc. there is the manual mode as well. But what is a video without good audio and this is why you will glad to know the laptop uses large speakers and high-grade amplifiers to give you a surreal experience. And when you do run on low battery, it will take just 50 minutes to go to 60%. But that is not all that impresses about the laptop. How about a 4GB RAM and 1TB HDD? Yes, that is exactly what you get (just the icing that was needed on the cake). You will also have no trouble carrying the laptop to places because it is one of the lightest laptops on the list and weighs under 2kgs. On the downsides, the laptop Celeron is only an entry-level processor and clocks at just 1.1GHz which means it cannot handle any heavy tasks like the latest games, editing software etc. It also overheats and hangs when used for long hours and does not come with a full-HD display. The laptop makes for a great backup laptop or one for the kids to watch movies, play light games etc. 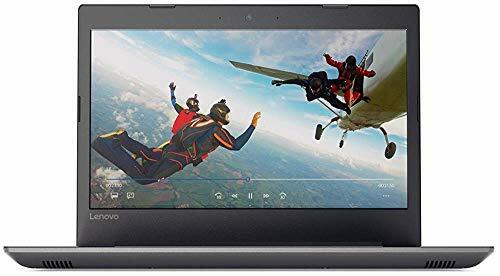 For any budget buyer this is by the best laptop under 30,000 in India and with features like fast charge, 1TB HDD and 4GB RAM, it more than just an average joe. Whether you are looking for the best gaming laptop in India or budget one, it is no surprise that HP rules the roost. 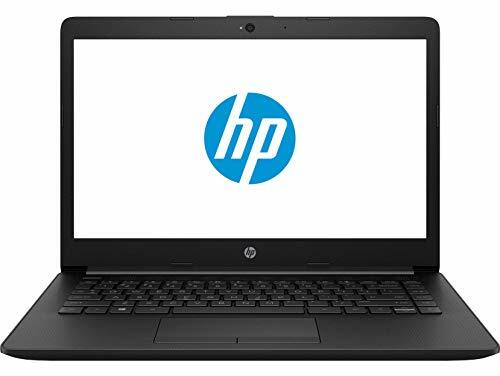 After all, it is one of the pioneers when it comes to laptops and HP 14Q is another one of its excellent models. 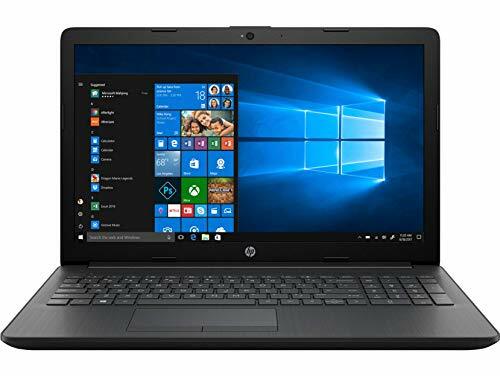 Equipped with the 7th Gen i3-7020U processor that has a base clock of 2.3GHz, the HP 14Q has been built with speed and performance in mind. Further supporting that is the 4GB RAM that can be expanded up to 16GB. This creates a seamless environment for you to multi-task without any lags or the system freezing (because if there one thing that can get to our nerves is a frozen laptop). Where the HP 15 lacked, the 14Q makes up which is the display. While smaller at 14-inches, it is still bigger than other budget picks. But more importantly, it delivers better colors and contrast so you get a better viewing experience when it comes to movies, Netflix or also the occasional game. And adding to the experience are the surprisingly good speakers (because what is game or movie without sound, right?). The integrated Intel 620 Graphics Card is pretty good for day to day multi-media tasks like playing videos. Nothing too fancy, but gets the job done. On light browsing etc. the battery can easily last you for 4-5 hours and charging takes about 3 hours which is standard for most laptops. Under heavy usage, it gives a runtime of 2-3 hours. The laptop weighs just 2Kgs so walking around with it in a backpack or even carrying it in a handbag should be a breeze. Not to forget, it has comparatively smaller dimensions as well. And lastly, in case you want to transfer important data from your HDD to a portable disk, USB etc. you can do it speeds of up to 5 Gigabytes thanks to the 2 USB 3.0 ports. One of the few drawbacks of the laptop is that it does not come with a backlit keyboard which means limits the laptops use at night. Since no operating system is part of the buy, you will have to install Windows by yourself or you can also opt for the slightly expensive version that comes with installed Windows 10. Lastly, the battery life is below par as it will only run for 2-3 hours with heavy multi-tasking and medium to high brightness. The integrated Intel 620 Graphics Card can handle light gaming etc. 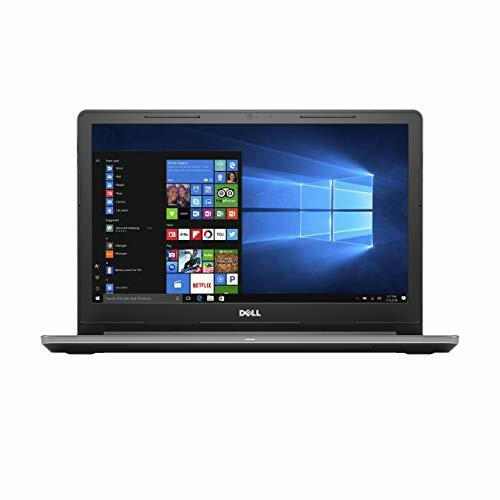 The Dell Vostro is another very capable laptop in this price range and typifies exactly why Dell is such a respected brand amongst the budget buyers as well. The Vostro just like the Ideapad has an i3-6006U processor and a 4GB RAM so multi-tasking should be easy and smooth until and unless overloaded. Similarly, it also has a 1TB HDD which gives you all the space in the world for any image or video or move collection that you want to store on the laptop. You can even backup your mobile data on it. The screen too is 15.6-inches and also has an anti-glare coating so you can work for long hours without any hassle on those spreadsheets, emails etc. So how is it any different? One of the main differences between the two laptops is that the Vostro comes installed with Windows 10. Another difference is that this laptop comes with two USB 3.0 ports and in case you didn’t already, with ports, transferring data just gets a whole lot faster and I mean really fast (about 10GBPS fast). But those are not so big difference. The one difference that really matters is the Graphics card. The Vostro comes with an Integrated 520 Graphics card which can handle more graphic-intensive tasks than the Ideapad. On the downsides, the Vostro in on the expensive side and will cost you above Rs. 29,000 and for that price point is lacks durability. There have also been complaints of the laptop being slow to start. Plus, the sound system of the Vostro is not that impressive either. And lastly, the display is not Full-HD which does hamper viewing to a large extent but is common in cheaper laptops. It comes with 1TB HDD so you can easily store all your work documents, songs, movies etc. 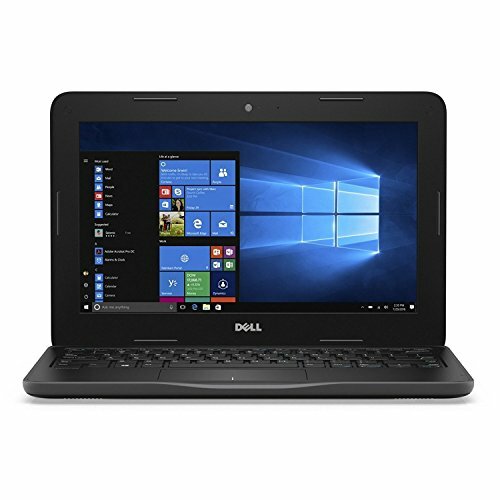 Last but not the least, is the Dell Latitude and if you are looking for the best laptop under 30000 in India with an SSD, this is where your search ends. Team up this SSD with the 4GB RAM and Celeron N3350 and the Latitude performs way better than anyone would expect it too. Yes the Celeron isn’t the most powerful of processors but nonetheless if you want to work on PowerPoint Presentation, get your article done on Word or have research work to wrap up which requires tons of browsing, those tasks, it can manage it like a boss. Also, it one of the lightest laptops on the list and its smaller screen makes it the most compact as well (just like any MacBook). You can carry this around as it were a notebook and fits perfectly into handbag or laptop bag. Just the kind of laptop freelancers prefer for work on the go. The Celeron processor as you already know is one of the most basic processors and thus limits the capabilities of the laptop. Also, while the SSD does offer higher speed, it does not have an HDD which means you are cramped for space with only the 128GB SSD at your disposal. The display of the laptop is also pretty small at 11.6-inches. Though it does deliver some really good quality in terms of contrast and brightness, if you wanted a larger display, this isn’t the one. Lastly, the display not Full-HD. Want to what feature you can expect from the best laptops under 30,000 in India. Well, here is a lowdown. Processors are one of the most important factors when it comes to deciding the kind of laptop you want. In this price range, an i3 is what you will often come across. Apart from that, a Celeron process is also quite common but compared to an i3 it definitely lacks power and speed. Most of the i3 processor’s clock at 2.2 to 2GHz. It is only our top pick the AMD Ryzen 3 2200U that comes with a slightly more advanced processor which clocks at 2.5GHz and turbo boosts to 3.4GHz. This means it gives you even higher speed so you can perform more complicated tasks like light video editing, gaming etc. After the processor, it often the RAM most buyers look to. And in case of RAM the rule is simple, the more the merrier. But at this budget, most laptops feature a 4GB RAM which can easily handle general multi-tasking like watching movies, browsing the net etc. Some laptops may offer you an expandable RAM to about 16GB but these usually cost around 25-29K depending on the brand and other features. If you plenty of data to store be it music, games, movies or if you just want backup your mobile, you will want a good amount of storage and luckily, even these budget laptops offer a 1TB HDD. But the problem with HDD’s is that they are slower as compared to an SSD. So can you get an SSD at this price range? Well, yes. The DELL Latitude is the only laptop that offers a 128GB SSD. But if you get the HP 15, it does come with the M.2 slot so whenever you feel the need for an upgrade, you can have an SSD inserted along with the HDD. So while the SSD will provide you better boot times and loading speed, for all the storing purpose, you can turn to the HDD. This where most budget laptops take a hit. I think it is quite clear that you will not be getting any dedicated graphics card with a RAM so yup, most of these laptops cannot take the bigger, latest games or professional work like video editing etc. However, if you do not intend on using a laptop for professional purposes you most likely do not need such a high-tech laptop. For general purposes, Integrated graphics is more than enough to get the job done. And in case you did not know, an integrated graphics card generates lesser heat, uses up less battery and also uses up less memory i.e. about 1% to 5% for processing the graphics. The display varies from 11.6-inches to 15.6-inches. But what matters more than the size is the clarity. So make sure you check out detailed reviews to know how good the colors and brightness of the screen really are or even give the laptop a test run at the nearest retailer. Note: That while most laptops have an HD display, they are not Full-HD which is a big miss. Some laptops have an anti-glare coating which reduces stress on the eyes helping you work or play for long hours. If you are a travel freak and I am guessing you most likely are, then you will want a laptop that is both lightweight and compact. Anything between 1-2kgs should be light enough for easy carrying. Apart from this, you will also want to ensure the laptop has at least one USB 3.0 port. That is because these ports not only support fast charging which comes in handy when your mobile is running out of battery but more importantly, provide data transfer speeds of about 10GBPS. If someone told you good laptops are always expensive, they lied and is exactly what these laptops mentioned above prove. They may not be the professionals choice but whether you want a secondary laptop to backup important data, watch the occasional movie etc. they fit the bill.